Home GMOs Who is afraid of GM foods? Who is afraid of GM foods? To say that genetically modified (GM) foods are controversial is an understatement. There is an entire movement that has labeled GM foods “frankenfoods” and is working hard to lobby governments to ban them and to scare consumers from eating them (and farmers from producing and retailers from selling them). Consider the case of AquaBounty Technologies that has developed a genetically improved farm salmon. By adding a gene from another fish, this salmon will reach maturity in half the time compared to non-GM salmon while retaining the same taste, texture, and nutritional qualities. Fox News recently reported that the FDA is about to approve this genetically modified fish, but the anti-GM food activists are busy scaring consumers and retailers about it. And they are succeeding: thousands of grocers are refusing to carry it. The anti-GM food activists are not opposing just genetically modified salmon. They operate globally, trying to curtail human well-being and progress by attacking GM crops such as Bt cotton in India. In a recent National Post column, Bjørn Lomborg reports activists fabricating claims that the introduction of Bt cotton led to a surge of farmer suicides in India, allegedly because of the higher cost and poor crop yields of GM seeds. Research later revealed that there was no evidence to support the anti-GM food activists’ claims. The introduction of new banking practices that led to financial difficulties and social problems were shown to be a much more significant contributor to farmers’ suicides—which were not any more prevalent than suicides in other sectors in India. Moreover, studies show that the Bt cotton farmers’ crop yields increased by 25% and profits by 50%. Besides Bt cotton, the activists also oppose other GM crops, such as Golden Rice, which has the potential to offer better nutrition to millions of people in the developing world. There is little question that the motives of the anti-GM food activists are anti-human. They do not want us to “tamper” with Nature, evading the fact that we survive and thrive by adjusting Nature to ourselves by producing the material values we need: agricultural crops, fossil fuels, housing, means of transportation, medicine, etc. The activists’ goal is a pristine environment—regardless of the negative consequences for humans (hunger, malnutrition, disease, and loss of life). The really interesting question is: why are so many people persuaded by the activists’ anti-science arguments, despite their negative implications to human well-being? I argue that the answer lies in two common flaws in people’s thinking: abandoning reason and second-handedness. Abandoning reason goes hand-in-hand with second-handedness: the primary orientation to other people as opposed to reality. A second-hander follows the majority opinion without thinking for himself. This is the easy way: a second-hander follows the crowd without bothering to use reason, out of intellectual laziness or out of a desire to “belong” to a group, at the cost of giving up independent thinking—on which his survival and success otherwise depends. The antidote to second-handedness is to remind ourselves that we need knowledge to achieve our goals—and that we can only deal with our own knowledge, knowledge that we grasp first-hand, thinking for ourselves. Once we embrace reason (and science), focus on facts, and think for ourselves, we will discover that genetically modified foods are a tremendous human achievement and value. GM foods are not scary—but the willingness of so many people to be persuaded by emotional arguments and to succumb to second-handedness is. Fortunately, we can choose: reason and independent thinking over emotionalism and unthinking following of others. Previous articleDoes freedom cause crime, obesity, and drug addiction? Next articleBono versus Bill Gates: A capitalist or a statist route to end poverty? Thank you, Janna. Another good one. I’m sharing on Facebook & Twitter. Time to read the ingredients list of roundup ! why people don’t want to understand this simple fact blows my mind ! Ronald, all I can say is review the scientific research on GMOs conducted by independent researchers. I think it is great that Monsanto and others have developed pesticide (Roundup)-resistant seeds (wheat, soybeans, etc.) that increase crop yields–which enhances human survival and well-being. P.S. What does “humans are not genetically modified for Roundup” even mean? Ill spread that excellent article around once youve corrected it  show it to my mother, post the URL on WUWT and Facebook. Youve tied the subject to fundamentals of life, with concrete examples. I believe it is what we need to do to convince more people. ARs philosophy grounds ethics in the requirements of life. 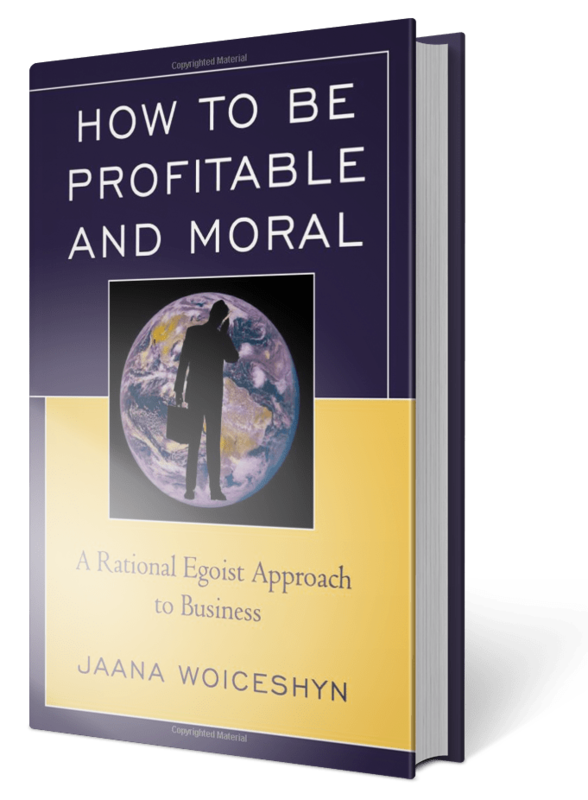 From: How to be Profitable and Moral: A Rational Egoist Approach to Business [mailto:comment-reply@wordpress.com] Sent: March 29, 2014 9:14 AM To: islandindividual@keithsketchley.com Subject: [New post] Who is afraid of GM foods? Thanks, Keith–the typo (a grammar error, really) is now corrected (unfortunately, the links on Facebook, Twitter, and LinkedIn remain to the original article). Thanks for sharing! I’m not afraid of GM foods. I use Canola oil, of which most now comes from GM varieties of the plant that was originally developed by standard plant breeding. “Natural” foods are not necessarily safe, they may have toxins to resist insects, they may not be prepared as well (cleanliness in handling), and are not more nutritious (studies show that). Everything has to be looked at, else one will die from the toxin in shellfish when the water is red, the poison in some mushrooms, anthrax in decomposed leaves in the forest, etc. When eating “organic” food today’s activists depend on industrial processes and modern communication of knowledge to avoid hazards inherent in “nature”. Before industrial civilization people had to investigate, think logically, learn, and teach else they died – no modern medical knowledge, medicines, or equipment to rescue them. As for demanding perfection in a new product, critics often fail to try to be perfect in their own investigation. When I check into a case of environmental alarmism I usually find lack of understanding of the subject – failure to check basic facts, failure to integrate using basic logic. Susceptibility to scare-mongering enables the dishonest, who can use that to bash competing products. One person claimed that Canola oil is toxic because it is in the mustard family of plants and “mustard gas” was used to kill people in World War I. But turnips are also in the mustard family, while “mustard gas” is a manufactured chemical that merely has colour and smell similar to mustard the spice. Thanks, Keith, for your comments and for the reminder to rely on science as opposed to emotionalism and mysticism. It is important to understand “natural” foods are not necessarily safe and benign.